"Mellow is perfect for busy food lovers - a sleek and innovative addition to the kitchen countertop controlled by your smartphone. It incorporates a built-in refrigeration system that keeps food fresh until it is the exact time to start cooking, allowing consumers to load it up at breakfast and come home to healthy and delicious food ready to eat for dinner." I was able to spend quite a bit of time with a Mellow that was provided to me by the company for free. This allowed me to run some objective tests on the unit and also to cook numerous items as well. I hope this article will help you better understand the Mellow, its strengths, its weaknesses, and if it might be an appropriate investment for you. This is a fairly lengthy article but you can jump to those sections you may be most interested in. In recent years we've not seen much innovative design in the area of sous vide machines. Initially, some good engineering was done in order to reduce the price of the device significantly from more than $1,000 to where they are today. But other than some clever innovation that went into the design of the ChefSteps Joule, the majority of the sous vide machines have been based off the Anova-style design. That is why, as an engineer, I was quite excited to get my hands on the Mellow! At least it would be different than the last handful of sous vide machines that I had reviewed. And I was not disappointed! The Mellow is comprised of a clear plastic double-walled water bath tank, which sits on a white plastic base unit. This base provides the source for both heating and cooling the water in the tank and also has a multicolored LED status indicator. Mellow is most like a water oven, such as the Sous Vide Supreme and Oliso SmartTop and SmartHub Sous Vide Cooking System. Unfortunately, the Mellow is missing one of the most useful advantages of a water oven, the ability to heat liquids other than water. The next two sections will provide some details on the base unit and water tank. 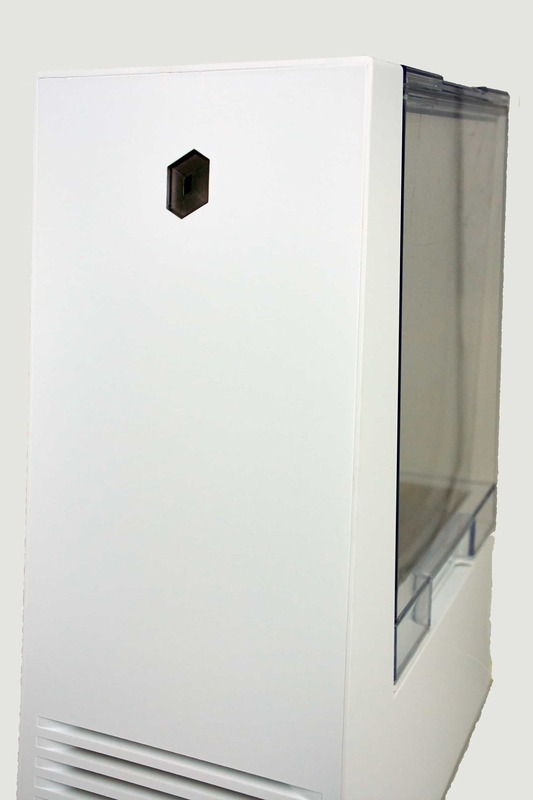 The base unit of the Mellow contains both a refrigeration system and a heating system. The cooling and heating is transferred to the tank via conduction with a large stainless steel rectangular block located on the top of the base unit. 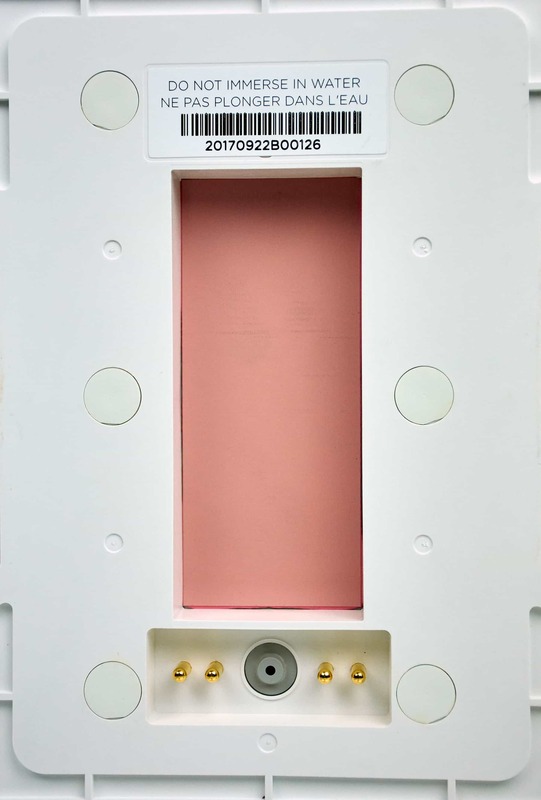 There's also another small connection "block" that has four electrical connections and a connection for the air injection from the base unit into the tank. I suspect the four electrical connections are used to monitor the temperature inside the tank. I don't pretend to understand how the base unit creates the cooling and heating to the metal plate. But the unit has vents in both the front and back; and from looking through them it appears there is a "radiator-type" component near the front of the base and a small fan near the rear. Best I can tell, the fan only runs when the unit is cooling. The base unit also has a weight sensor which will send a notification to the Mellow app on your smartphone as soon as something is added to the tank. It will also start the cooling process. On the rear of the base unit is a sensor which has two purposes. The first is to indicate the status of the Mellow by changing the color from orange to green. It is also used to link your smartphone via WiFi to the Mellow unit by holding it against the sensor. This was rather odd, but appeared to work quite reliably.The electronics for the WiFi connection are also housed in the Mellow base unit. The tank is rectangular in size and is double-walled to provide some insulation which improves the energy efficiency of the water bath. The tank also has a tight-fitting lid which helps keep in the cold or heat, and eliminates the evaporation of the water in the bath. The tank is also removable which makes it easy to fill, empty, and clean. The "working" components of the tank are located at the bottom. On the outside is the rectangular area which "connects" up with the stainless steel block on the base unit to conduct either cool or heat into the tank. This is connected to a metal grid on the inside of the tank which actually conducts the cold or heat to the water itself. This metal grid can really get hot if you are taking the bath up to a high temperature like 180°F. It is quite interesting because you can actually see the water rippling off the grid in thermal "waves". There is much more detailed information on the design of the Mellow in the sections below. The table below lists the basic specifications for the Mellow provided by the vendor. As mentioned above, the Mellow is a water oven and therefore its Basic Specifications are a bit different than those given for a "stick type" sous vide immersion circulator. There are some specifications that are worth highlighting, however. Typical of other water ovens, you will more than likely just leave the Mellow on your counter top all the time. Depending on the size of your kitchen, and amount of counterspace, this may or may not be an issue. It does have a slightly narrower footprint than the other two water ovens mentioned. However, it is relatively tall at 15.8" (40 cm), but should fit under most wall cabinets. This specification is one that often tends to be overlooked. However, it can be important on lengthy cooks at high temperatures when evaporation of water in the bath can cause a premature termination of the cook. The Mellow has a large spacing of 3.75" (9.5 cm), and also has a lid which seals quite tightly to minimize any loss of water through evaporation. Since the Mellow has a removable tank, it is quite easy to take it to the sink and give it a good cleaning. This is definitely an advantage over an immersion circulator which is sometimes difficult to keep clean. It is also easier than those water ovens which are one unit, and you can't really put them in the sink to clean them easily. Selling for around $400, the Mellow is priced similarly to the two water ovens referenced above but it is significantly more expensive than immersion circulators which range from approximately $100 to $200. Arguably the Mellow does have the cooling feature as well as WiFi, but it also has limited capacity. So as I will elaborate on later, the value of the Mellow depends heavily on the cook's need for the cooling and WiFi capabilities. The table below lists the performance specifications for the Mellow provided by the vendor. Please refer to this as necessary as I highlight some of the specifications. The capacity of the water bath on the Mellow is relatively small by comparison to other water ovens and the water bath containers typically used with immersion circulators. It holds a maximum of 5 L of water compared to around 8-10 L in other water ovens, and the typical 12 L or larger water baths used with immersion circulators. The "Tech Specs" on the Mellow website lists the "Maximum Cooking Capacity" to be "About 6 regular portions". Personally, given my experience with the device, I feel this is a bit optimistic. I would list the capacity more in the 2-4 portion range. Moreover, this depends a lot on the food that you are cooking. For example, due to their length, a rack of ribs would need to be cut in half or quarters in order to fit into the Mellow. Similarly, a large thick roast or pork shoulder might also need to be significantly modified in order to fit into the water bath. The capacity of the Mellow will be fine if you are cooking for an individual or small family with the majority of food on the smaller side such as steaks, chicken, fish, eggs, vegetables, etc. 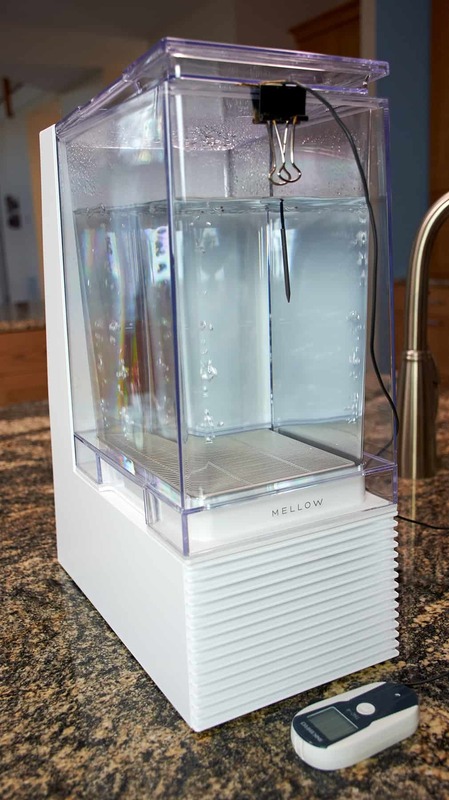 The Mellow has a 1,000 Watt heater which brings the water bath up to the target temperature quickly. This speed is partially due to the fact that the amount of water being heated is significantly less than in other water ovens and most water bath containers. Unfortunately, it takes forever for Mellow to lower the temperature of the water bath. I do not know the engineering behind the techniques used to chill the water, I just know that it's extremely slow. You can review the evidence of this in the experiments I present later in this article. The table below summarizes the user interface for the Mellow provided by the vendor. Please refer to this as necessary as I highlight some of the specifications. With the exception of the multicolored LED on the rear of the unit, the Mellow is totally controlled and monitored by the Mellow smartphone app via WiFi. I debated whether to give this the "thumbs up" icon, since to some folks the lack of physical controls and displays on the device itself, is a negative. But I concluded that if someone was interested in the Mellow, they were probably comfortable controlling the device remotely via their smartphone. In our sous vide machine reviews we have chosen not to include a detailed review of the software in the associated app. This is because, hopefully, those apps will be continually adding enhancements which would be time-consuming to track. Since I have been testing the Mellow, they have come out with an update to the app which now makes it one of the better apps that I have used. It was quite easy, although somewhat strange, in the way you sync it up with the Mellow unit. And it worked reliably during the time I used it. The app allows you to select an ingredient, in some cases enter its thickness, specify how you want it cooked and when you want it ready to eat. The app then calculates the temperature and time required to meet your specifications. One feature of the Mellow app which is quite unique, is the ability for the user to rate the food that you have just cooked. The idea is that you can use this rating to make modifications to the time or temperature on future cooks. The app also has a Manual mode which allows you to put in a specific temperature and time. The Manual mode also supports multiple steps if those are required. As mentioned above, the Mellow app assists you in selecting the time and temperature to sous vide a particular ingredient. However, it does not include any general sous vide introductory information or recipes. The prior sections presented specifications provided by Mellow. This section will demonstrate what actually happens when the "rubber meets the road". We have done two types of experiments with the Mellow. The first is our traditional Sous Vide Benchmark and the second are Mellow Specific Experiments. You can learn more about the Sous Vide Machine Benchmark and see how the Mellow compares with other sous vide machines we have benchmarked. You will notice that the values in the Benchmark Results table have a "*" beside them. This indicates they are not a true "apples-to-apples" comparison to the other sous vide machines that we've benchmarked. The other benchmarks were run with 8 L of water, whereas the Mellow benchmark was run with only 5 L.
Below I highlight parameters in which the Mellow was different than the majority of other sous vide machines. We can't compare the Room Temp Start Time, Hot Start Time, and Temp Rise Time parameters for the Mellow to other circulators we benchmarked due to the fact that the Mellow was working with 37.5% less water. But nonetheless, the Mellow does get to the target temperature quite rapidly. The Low Temp Variation and High Temp Variation of the Mellow were slightly greater than most immersion circulators. This larger temperature variation is quite typical of sous vide water ovens. It should also be noted that the Mellow overshot the target Low Temperature by approximately 2.5°F, taking approximately 15 minutes to settle into the final Low Temperature. I do not believe these variations will have any noticeable impact on your food quality. Without question, the Mellow is the loudest sous vide machine we've tested. The volume is also dependent on whether the unit is cooling or heating, with the cooling being the loudest. There are actually two sources of the noise. The loudest is a whirling or humming sound which comes out of the base of the unit. The other is the noise made by the bubbles as they exit the top of the water. This noise may or may not be a deterrent to you depending on your proximity to the Mellow while it is operating. If you are at work the entire time, then you are golden; but if you are working in the same room where it is operating, like Jason, then it's a showstopper. Since the Mellow also has the capability to chill the water, we felt it was necessary to do some additional experiments to characterize its full operation. The first tests were to determine how long the Mellow takes to cool and heat the water. Next I wanted to see how the water level would affect the times. I replicated the experiment with the Mellow filled to the minimum line with room temperature water. Perhaps the first thing that you notice from looking at the charts is the difference in the cooling times versus heating times. For example, in the "Room Temp" scenario, it takes more than 6 hours for the Mellow to cool down the water bath 35°F. But it can raise the temperature of the water 100°F in just 25 minutes. Another observation, which is no surprise, is that the amount of water in the tank has a large impact on the speed at which the water bath temperature can be changed. The cooling time is reduced by approximately 58% and the heating time by 36%. The important take away from this is that you should use the minimum amount of water necessary to cover the ingredient being cooked. Of course, this will also increased the efficiency of your cooks. After running the first couple of experiments with the Mellow, I was a disappointed and surprised by the amount of time it took to reduce the temperature of water bath down to 40°F, especially when the water level was at its maximum. More than 6 hours to lower room temperature water and more than 4 hours for cold water from the tap. In both of these cases, the ingredient you are sous viding is in the danger zone (40°F - 130°F) for too long to be safe. When I first discovered this I decided that when I wrote this review I would strongly suggest that you always throw in some ice to help reduce the water bath temperature quickly. That explains why I was very pleased, when I saw in the latest version of the Mellow app, that it warns the user if the amount of time to cool the water bath down to 40°F will take longer than two hours. The app will then assist the user, using several easily followed steps, to determine the appropriate amount of ice to add so that your food remains safe. Please do not skip this important step. I used these instructions when I cooked the frozen and fresh burgers. In both cases I started with the tank full to the maximum with cold tap water. The app warned me that the cooldown would take more than two hours and had me first remove some water from the tank. It then instructed me to add the appropriate amount of ice before starting the cook. I used a probe to monitor the inside of both burgers, and as you can see from the chart, the burgers were in the danger zone for less than an hour as the water bath heated to the target temperature. All temperatures are based off the center of the burger. There is one other safety-related issue that I would like to mention. Once your food is done, the Mellow app will send a notification to your smartphone indicating that. 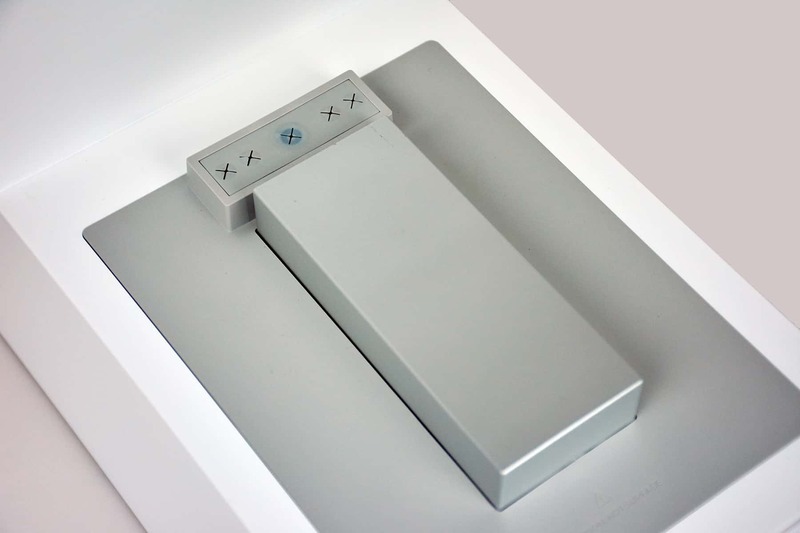 It will then allow you to push a button which reads, "Keep it warm". If you push that button you will get another screen which reads, "Your food is ready! We're just keeping it warm for you." Up to this point I felt the end of the cooking process supported by the app was a good one. But then I noticed in smaller, lighter, text on that page it reads, "Don't worry. It won't overcook. Please carefully remove the ingredient from the water bath tank before 8:40." The 8:40 time given at the end of that statement was only 10 minutes in the future. So I discovered that Mellow only holds the cooking temperature for 10 minutes after the targeted "Ready" time. Typically this would not be a problem, however, it would be a different matter if, for some reason, your planned return to the kitchen was delayed. In that case the ingredient will be sitting in the water bath with the temperature slowly dropping. If for example you were cooking a steak at 130°F, the temperature of the steak would soon drop into the danger zone. This brief "hold time" is not a huge issue, but I just want to make readers aware of how Mellow works. The solution to this is relatively easy, if you know you're going to be delayed. You can go into the Mellow app and manually turn it back on at the targeted cooking temperature or somewhat lower, as long as it is greater than 130°F. As I suspected, the Mellow definitely has some unique design elements. Some provide real benefits, while others do not. I will highlight those I felt were most interesting. 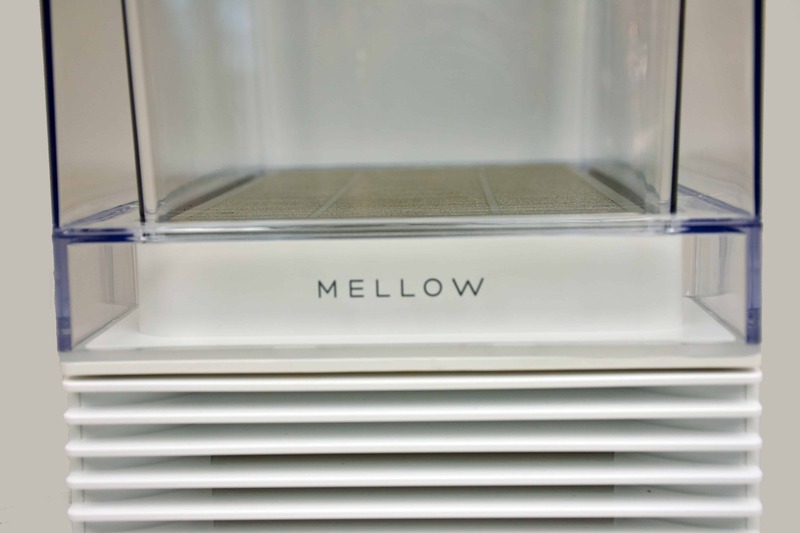 The capability of chilling the water bath is definitely the most unique design feature of the Mellow. It is the only sous vide machine that currently has this capability. Some users may find this a huge benefit, others might only use it rarely. The refrigeration capability, coupled with the intelligence provided by the Mellow app, does make it easier to delay a sous vide cook than with a WiFi immersion circulator. But the user does need to be familiar with sous vide safety issues and take the appropriate precautions suggested by the app. The Mellow is quite stylish and does not look like your traditional kitchen appliance. One reviewer called the design Apple-esque, which is quite a compliment and fairly accurate. It will more than likely have visitors to your kitchen inquiring about it. I particularly like the design element at the bottom of the tank which has the "Mellow" logo displayed in a very classy way. The white and clear plastic, and very clean lines, adds to the contemporary styling of the Mellow. The design of the Mellow tank has both positive and negatives. Insulated - The tank has a double-wall construction, with an air space in between providing insulation. It is removable - Being able to remove the tank in order to more easily fill and clean it is convenient. Please note that you should not immerse the tank in water. Tight-fitting lid - The lid fits tightly keeping the heat/cold in, and minimizing evaporation. Tank capacity - As mentioned earlier the capacity of 5 L is relatively small in comparison to other sous vide machines. 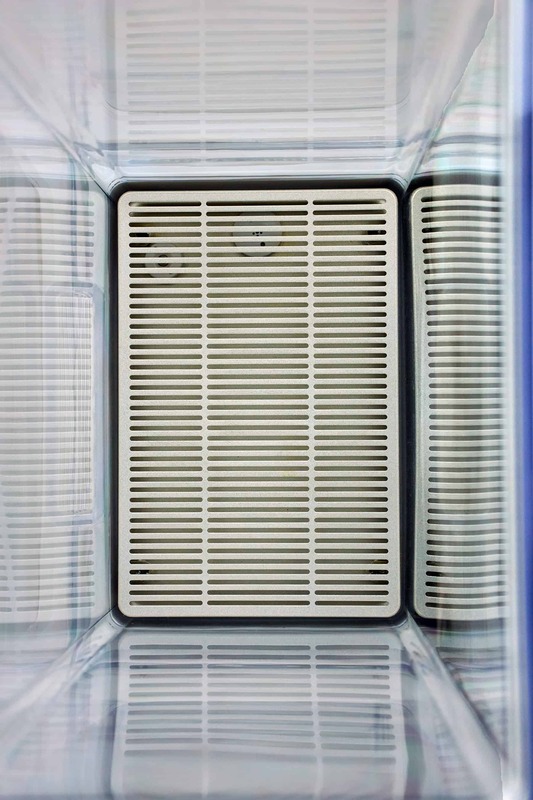 Metal mesh plate -The tank has a mesh like metal plate on the bottom which is used to transfer both cold and heat to the water from the base of the unit under the tank. My biggest concern with this is keeping it clean. If a sous vide bag were to leak, which most of us have experienced, the contents of that bag could be "cooked" on to that metal plate. And since the plate is not removable, it would be hard to get it clean, especially the underside. Thick wall construction - As mentioned above, the double-wall construction acts as an insulator. Unfortunately, it also makes it difficult to use magnets to hold down floating sous vide bags, and clips will not work with the lid. I understand that determining quality can sometimes be very subjective. It's one of those, "I know it when I see it, or feel it!" But from my personal experience, I believe the quality of the Mellow is quite good. The materials used for the base and the tank are plastic but feel quite sturdy. I cannot speak to the quality of the components in the base of the unit. However, the unit is quite heavy, which in many cases, is a good indication of quality. Finally, the packaging for the Mellow appeared to be well designed to protect the unit from the rigors of shipping. It is unfortunate that there are no reviews on Amazon that might give us more insight into the reliability and usability of the Mellow. The Mellow emits a stream of bubbles from the base near the back of the water bath tank. This "air injection" is designed to circulate the water in order to equal out the temperature throughout the bath. I suspect that this technique does not work as well as pumping the water, the way immersion circulators do, but it's an improvement over purely convection heat transfer used by other water ovens. There are two minor issues with the Mellow bubbler. It is quite easy to position a larger sous vide bag so that it blocks, or significantly reduces, the stream of bubbles. Also, the bubbles add additional noise to an already noisy unit. I will have to admit, I have thoroughly enjoyed getting to "play with" the Mellow, primarily because it is just so different than the rest of the sous vide machines I have experience with. However, not all of those differences result in providing benefits to the user. As a result, this summary will be a bit different than typically found at the end of one of my detailed reviews. First, I would like to address what I feel is a disconnect between the Mellow dream and reality. Second, I would like to speculate who I believe would benefit the most from the purchase of a Mellow. The Mellow Dream Meets Reality! I believe the creators of Mellow had some very ambitious dreams about what it would be. The video below, from the front page of their website, gives you a sense of what they hoped to produce. You can even get a better understanding by watching some of the other videos on their site. They wanted to create a sous vide device that was extremely easy to use and required little, if any, knowledge of sous vide cooking. Moreover, they wanted the device to be smart enough to be your "sous chef", learn how you liked your food cooked and have an excellent dinner waiting for you when you return home. I must congratulate the Mellow team for achieving some of these challenging goals. The Mellow app does do a good job of calculating time, temperature and start time for the ingredients it covers. And by collecting feedback, it does assist the user in tailoring the cooking process to the user's preference. Unfortunately, reality has raised its ugly head in other areas which has caused some rethinking of what is realistic. There are numerous places where the dream needed to be rethought a bit. By far, the most critical one of these is the issue of safety. Specifically, keeping the ingredient to be cooked out of the danger zone for more than 2-4 hours. As I mentioned in my Conclusions from the Mellow Specific Experiments above, I had serious concerns regarding the safety of the Mellow. But I wasn't alone. This Mellow review, found in Wired, took a much more detailed look at the safety issues. In my opinion, this is where the Mellow team deserves some kudos for being proactive and addressing this important issue. As I mentioned earlier, the Mellow app now warns the user if the amount of time to cool the water bath down to 40°F will take longer than two hours. The app will then assist the user, using several easily followed steps, to determine the appropriate amount of ice to add so that your food remains safe. Having to take all of these additional steps is a far cry from the original dream of "Filling the tank with water, throwing in the bag, and having the app start the cook". But if the user follows the instructions provided, they will have a safe meal when it's time to eat. Who is the Mellow For? As I mentioned at the top of this Summary section, the Mellow has many differences from other sous vide machines. However, it is exactly those differences that, in my opinion, limit the market for the Mellow. But in some cases those differences provide important benefits for a subset of sous vide cooks. You may be one of those? Below I will share my opinion on who I think the Mellow would be the ideal sous vide solution for. Mellow provides the greatest benefit to those who are cooking a meal sous vide but are going to be away from their kitchen for longer than the cook time for that meal. Delaying the start time prevents the food from overcooking, while still ensuring the food will be fully cooked by the time you return. The most common example of this is people leaving home early in the morning and wanting to eat soon after they return in the evening. If the cook time of the food they are sous viding is shorter then the amount of time they are going to be away, it requires them to delay the start of cooking, often for an extended period of time (1-10 hours). The capability the Mellow has to relatively easily and safely provide this important benefit is its greatest strength, and thus greatest appeal. The type of food that benefits most from the delayed start time are ones with a cook time of 1 to 12 hours. With these cuts and cook times, the timing is more precise and the food more easily overcooked, even with just a few hours of extra time. Most people's schedules also seem to need more help with the timing of these types of foods. 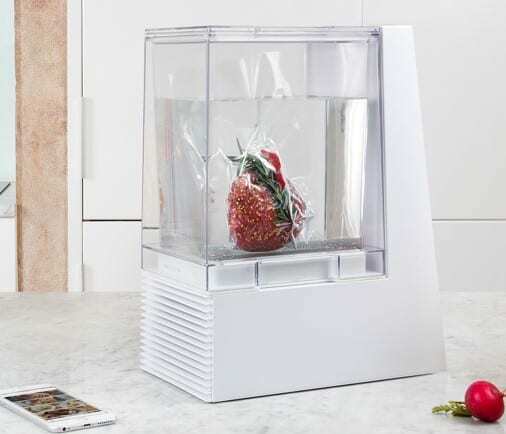 This window encompasses some of the best foods to cook sous vide including: many steaks, chicken thighs and breasts, duck, several beef roasts, many Lamb cuts, and several pork cuts. Due to the somewhat limited size of the Mellow tank (5L Max), it is more well suited for a smaller family requiring fewer portions. Similarly, it is not ideal for larger cuts such as ribs, shoulders and roasts. Although it's not consistent with the original "dream" for the Mellow, I personally believe that the user should have a knowledge of sous vide cooking basics, including food safety. This would allow the user to conveniently create wonderful food that they know is safe for their family and friends. The Mellow is a sous vide machine with a very unique combination of features. Some of these can provide valuable benefits to a subset of sous vide cooks as outlined above. To these folks the higher price of the unit will be justified. But for the majority of sous viders an immersion circulator would be a more cost effective, and in many cases a more useful, sous vide machine. If you are not familiar at all with sous vide cooking, I would not be misled by the apparent ease of use that is portrayed by the Mellow marketing story; the Mellow is not a silver bullet for the uninformed cook. If you are to reap all the benefits that sous vide cooking has to offer, I would suggest that you invest the time to become knowledgeable so that you can create food which is both amazing and safe.